Since 1897, Greenwich Academy (GA), an independent college-preparatory day school for girls and young women in Greenwich, Connecticut, has fostered excellence. A leader in girls' education, GA sets a high bar in academia and athletics. 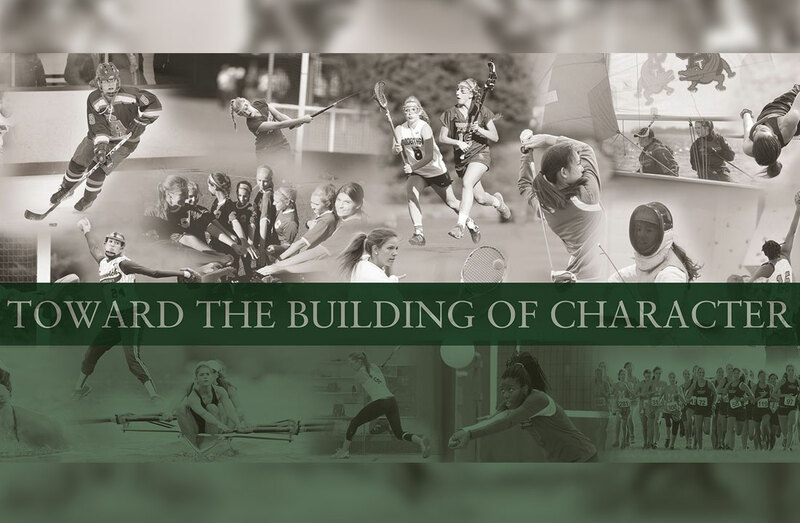 With a new athletic director in house, Greenwich Academy was seeking a better way to recognize, honor and showcase Gator Athletics. Enter the creative design team at 2020 Exhibits. 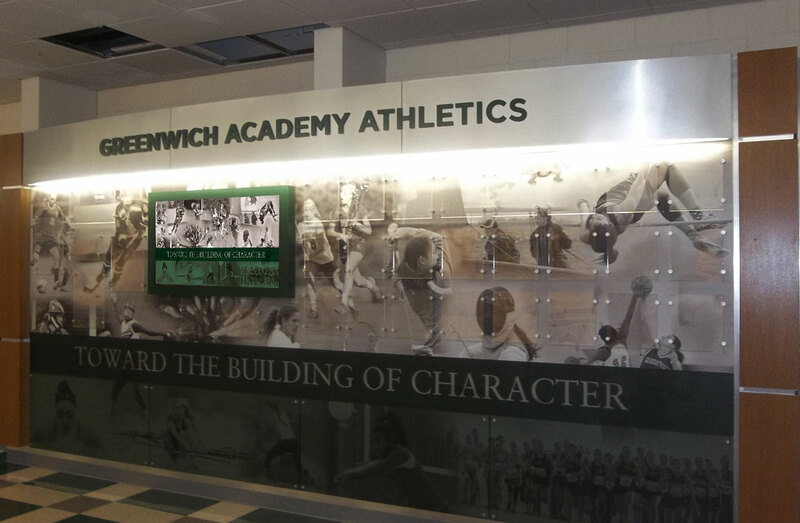 Making the space more engaging and dynamic, 2020 Exhibits worked collaboratively with Greenwich Academy’s athletic staff and administration to design, fabricate and install a robust, well-branded Athletic Department display. 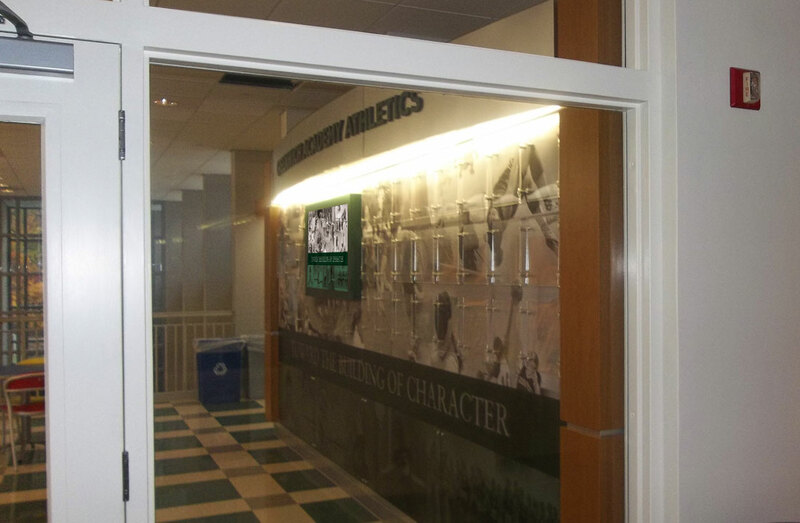 This newly refreshed hallway features thoughtful yet impactful design elements that fully engage the Gator community, including an interactive, touch-screen digital display showcasing Gator team accomplishments and individual record holders. 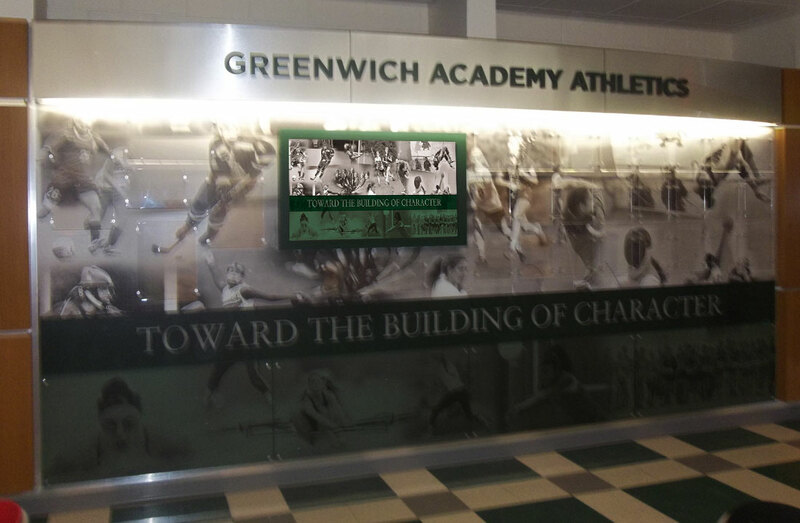 With customized wall graphics honoring the rich legacy and traditions of Greenwich Academy, this newly redesigned walkway celebrates the best of the Gators. 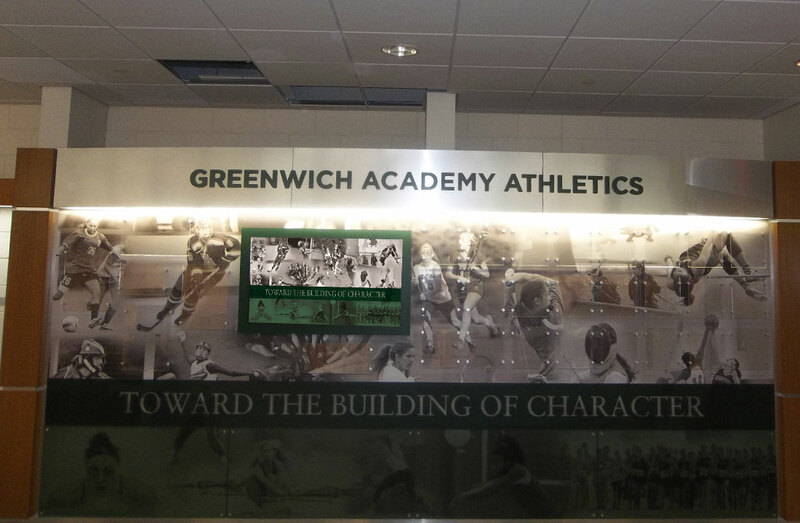 Entrance signage and custom back-lit plex-framed images showcase student-athletes for the Greenwich community to see and celebrate these athletics accomplishments more easily. The resulting space is rich and warm, offering flexibility for generations to come.